This weekend I designed a skirt inspired by Brigitte Bardot's 'Breton Stipes'. 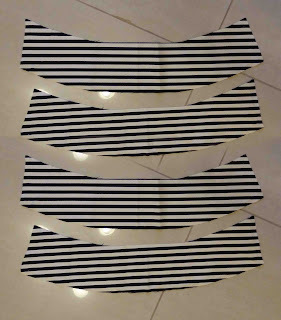 I really love these black and white stripes. It matches with any uni-color top. 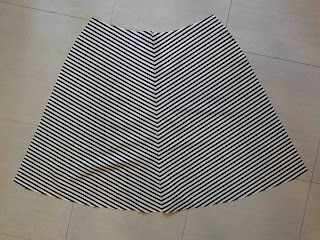 For this skirt I used a high quality Japanese cotton fabric. I placed the pattern in different directions on the fabric to create a cool effect. 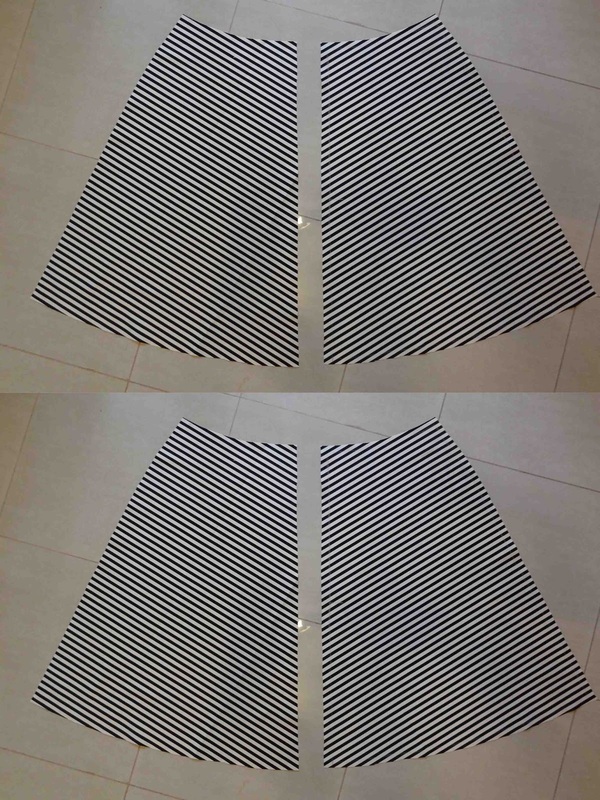 It takes a few hours to make this skirt. 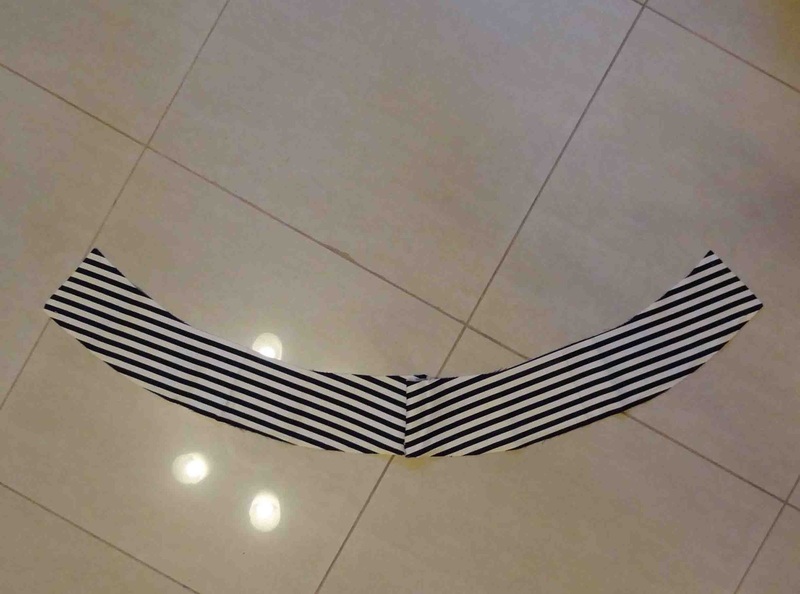 Be warned, you get a bit dizzy looking at the stripes while cutting the fabric :)! 1. Cut 4 skirt pieces, 2 for the front and 2 for the back. Make sure to put them in the correct angle on the fabric. I used an angle of 30 degrees. 2 Pieces will have the stripes come down from the right and 2 pieces will have the stripes come down from the left. 2. Cut the 4 waste band pieces. 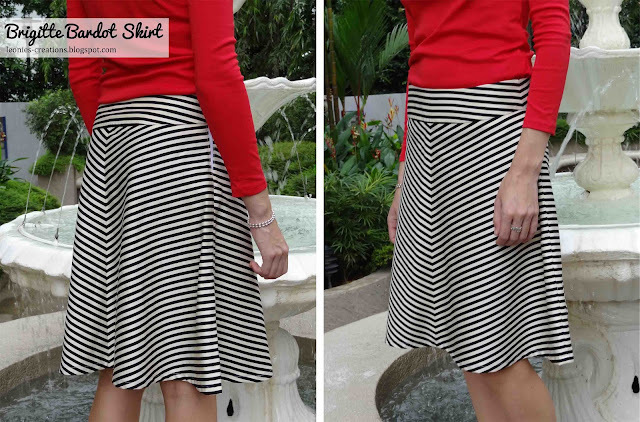 Place the pattern on the fabric in such a way that the stripes are in a horizontal direction. 3. Put the 2 front pieces on the top of each other, right sides facing each other. Stitch over the center line. Fold the front piece open and you will see the stripes coming together in a v-shape in the center. The front piece is done. Repeat the same steps for the back piece. 4. Put the front and back piece on top of each other, the right sides facing each other, and stitch them together over the left side. Repeat the same steps for the other 2 waste band pieces. 5. Place the front and back piece of the skirt on top of each other and stitch them together over the left side. 6. Place the waste band piece on top of the skirt piece along the top edge, the right sides facing each other. 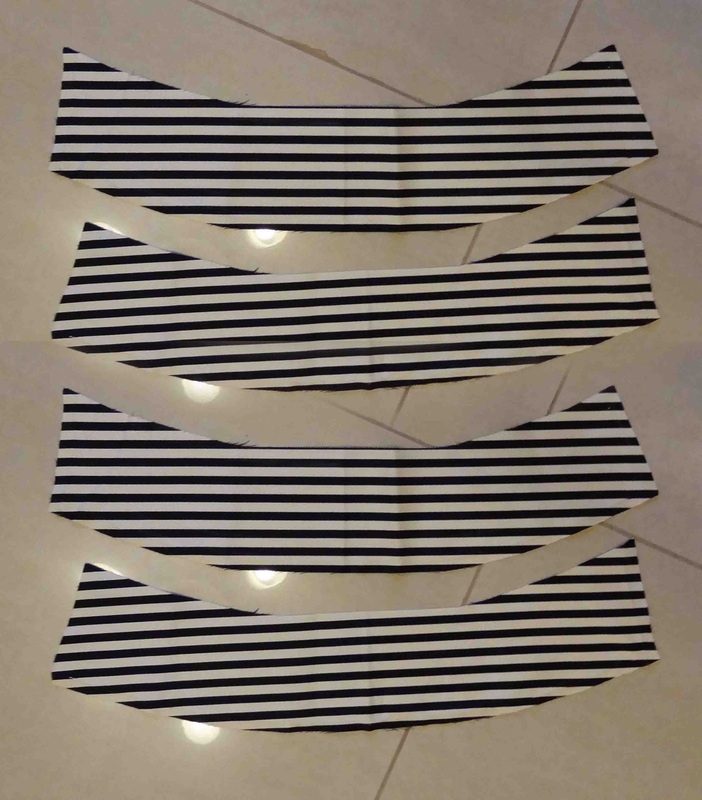 The long side of the waste band should be aligned to the top edge of the skirt. Pin the 2 pieces together. Make sure that the seam of the waste band piece is aligned with the seam of the skirt. Then stitch 1cm from the edge. 7. Now place the other waste band piece on top of the waste band attached to the skirt. The right sides are facing each other. Stitch along the top edge. Fold the piece inside. I used some heat n' bond iron-on adhesive to make the waste band piece stay in place inside the skirt. 8. 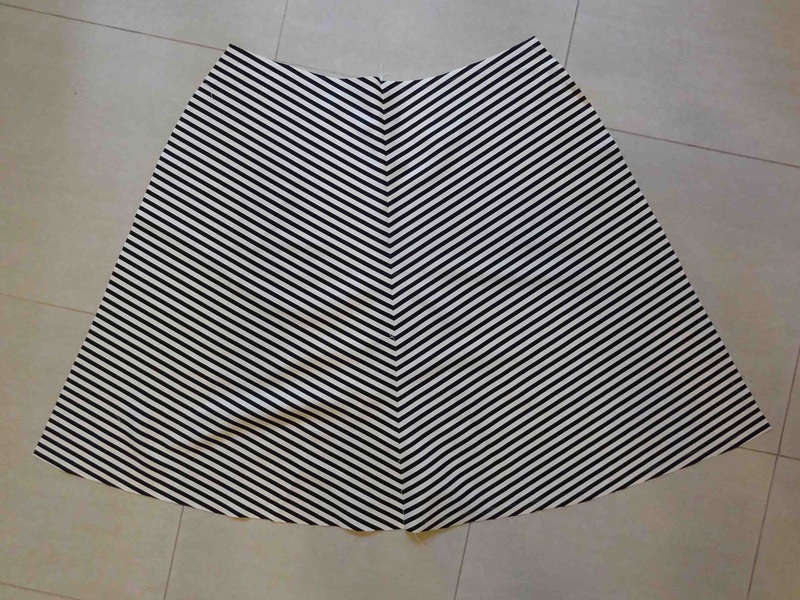 Fold the skirt inside out and stitch along the right edge until 10cm from the top. Insert the zipper and you are done!